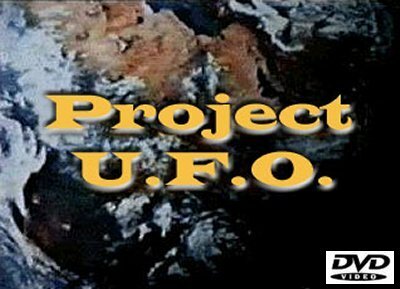 Project UFO was an NBC television series which lasted two seasons, from 1978 to 1979. Based loosely on the real-life Project Blue Book, the show was created by Dragnet veteran Jack Webb, who pored through Air Force files looking for episode ideas. The show featured two U.S. Air Force investigators charged with investigating UFO sightings. The first season starred William Jordan and Caskey Swaim. Jordan was a rather nondescript leading man, while Swain added diversity as a Southerner with a pronounced accent. In season two, Jordan was replaced by Edward Winter. Notable guest stars include: Dr. Joyce Brothers, Stacy Keach, Randolph Mantooth and Morey Amsterdam.